One idea to ultimately keep in mind, as you count down the best movies of the year with us, is that this list is the result of math. 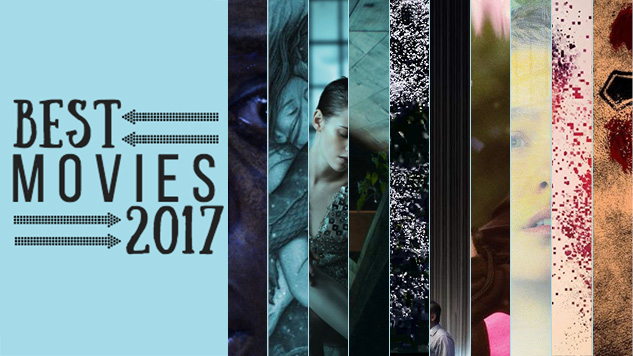 Each staff writer put together a top 20 of their favorite movies of the year, contributing to an aggregate list based on points assigned according to where each film ranked. The goal was and has always been to provide an overview of staff tastes, however much individual lists differed. Which is to say: if you’re pissed or elated about anything being on here or not being on here, then chances are at least one Paste Movies staff writer agrees with you. For example: A Cure for Wellness, our #50 film, was despised by a few staff members, but it was Oktay Ege Kozak’s favorite movie of the year. Similarly, The Shape of Water was a consensus pick, though Dom Sinacola recently wrote about how much he dislikes the way Guillermo del Toro tells stories. Kyle Turner panned Call Me By Your Name, but then it found a prominent place on other lists. And Matt Brennan bemoaned the quandary of us critics reviewing and ranking films that most readers can’t see—in fact, more than half of our staff hasn’t seen Phantom Thread, because we don’t live in NY or LA—which still didn’t keep those films out of the top 50. It’s been a phenomenal year for film, and most of that judgment is based on the broad variety of favorites that make up our section’s taste. Regardless of how enraged or enchanted you were with movies these past 11-ish months, we still hope that you can find plenty to love in the following.